Jasmine rice is a long grain rice originally from Thailand. It is typically used in Asian cuisine and has a lightly sweet, nutty flavor. Jasmine rice is not very sticky, and the grains will only slightly stick together when cooked. It is a simple and quick dish to cook, and because of its versatility it can stand up to any level of seasoning used in a dish. Rinse the rice before cooking. This removes the excess starch on the grains. Make sure you rinse until the water runs clear. 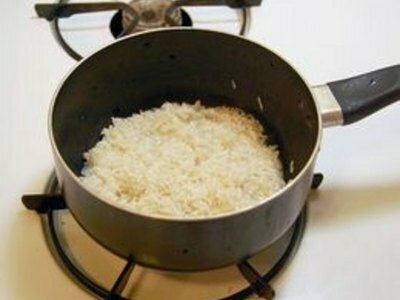 Place 1 1/2 cups of rice in a pot. Cover the rice with 1 3/4 cups of water and bring to a soft boil. 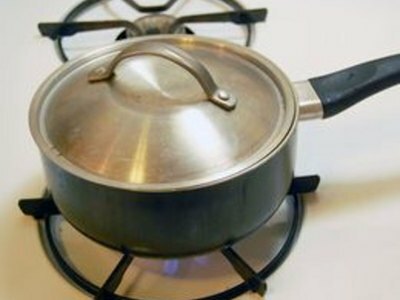 Reduce the heat to low and cover the pot so the rice will simmer. 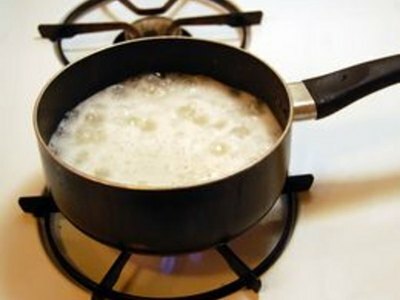 Let the rice simmer for 20 minutes, or until it is cooked through. Remove the rice from the heat and allow it to sit for 10 minutes. Do not remove the lid until the time is up. Fluff and season your rice to taste before serving. The amount of rice used will usually double when cooked. Example: 2 cups of uncooked rice will yield about 4 cups cooked rice. Rice can also be cooked without measuring. 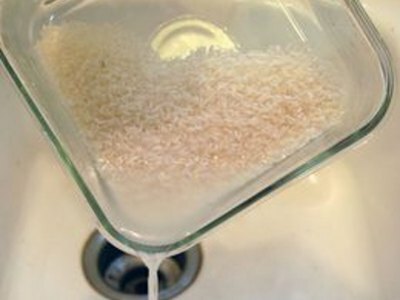 The best method is to place your rice in a pot, and add enough water to cover it by 3/4 inch. Use your best judgment when applying this technique.